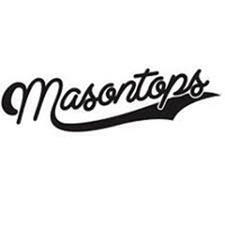 Masontops was founded by childhood friends Phil Baron and Mike Bacher who, after trying to ferment sauerkraut but finding the process difficult, felt there had to be an easier way. Deciding Mason jars would be ideal as the storage containers, they proceeded to develop accessories that would fit the jars and make the fermentation process as simple as possible. The Masontops Pickle Pebble food weights came first, quickly followed by the Pickle Packer and finally the Pickle Pipe, which has revolutionised at-home food fermentation and made it accessible to everyone, regardless of their level of experience. 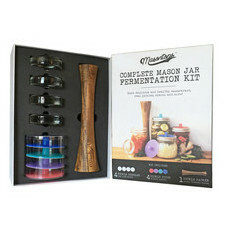 Inspired by the versatility, utility and vintage charm of the Mason jar, and wanting to encourage others to share this appreciation, they have now dedicated the company to creating beautiful and functional Mason jar accessories along with the fermentation products. These include specialised coffee caps to preserve the life of coffee beans, plus a range of airtight lids, seals and grommets.